The rainforested Central American country of Costa Rica draws luxury travellers with promises of stunning beaches, volcanos and jungle teeming with wildlife. 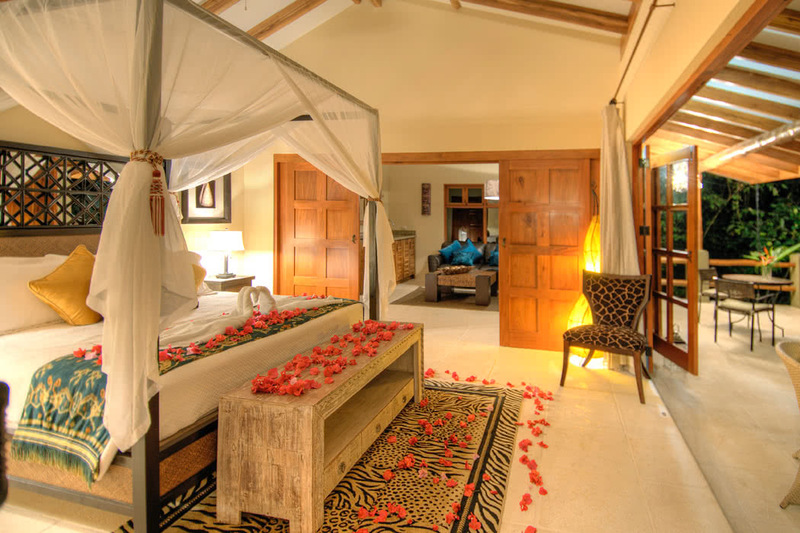 Your accommodation somewhere this special needs to be outstanding and you literally need look no further than the heavenly all-villa resorts of Casa Chameleon. 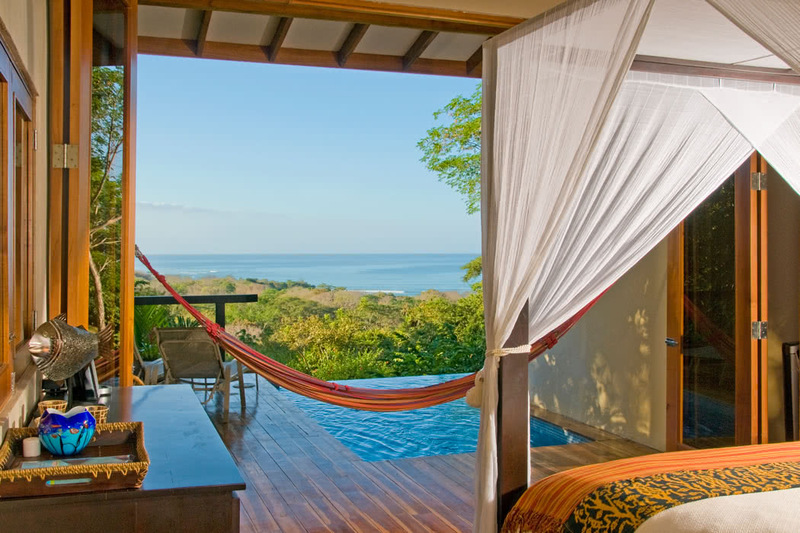 There are two main resorts; Casa Chameleon Hotel at Mal Pais and Casa Chameleon Hotel at Las Catalinas. 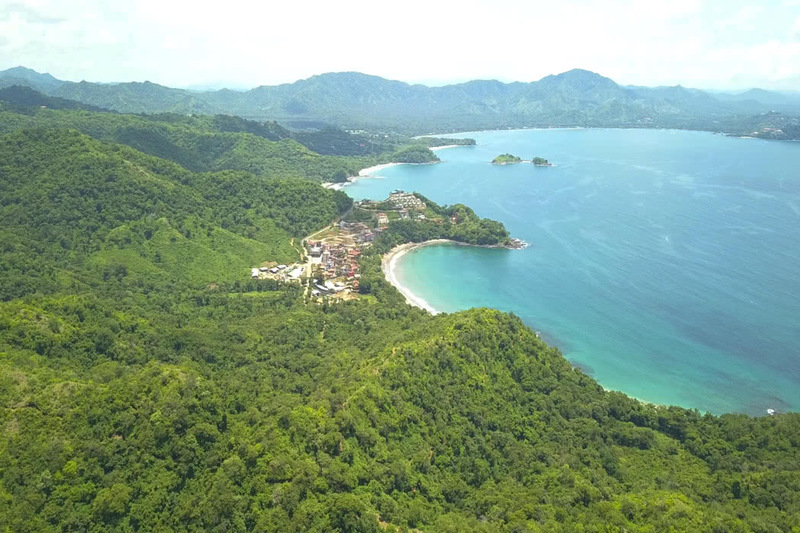 Mal Pais is located in the beachy town of the same name which is tucked between surfers-paradise Santa Teresa to the north and the Cabo Blanco Nature Preserve to the south. Located in one of the world’s seven Blue Zones, the town is one of the healthiest places in the world and its delightful residents are some of the longest-lived people in the world! Visitors to Costa Rica tend to hire cars to explore and a scenic drive up the coast is a must. 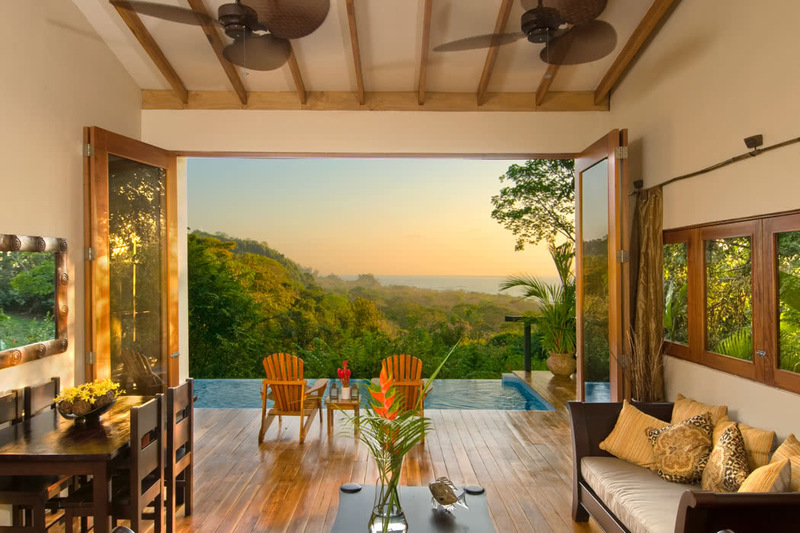 Just 4 hours north you’ll find sister-hotel Casa Chameleon Hotel at Las Catalinas on a hillside above the Guanacaste coast just a 45-minute drive from the Liberia airport. The lovely name is chosen for a reason, the resorts are designed to blend seamlessly with their tropical environment; very chameleon-esque behaviour! Although ultra-luxurious, it’s barefoot luxury where you feel very much a part of your surroundings and can fully embrace the nature and culture of this amazing country. 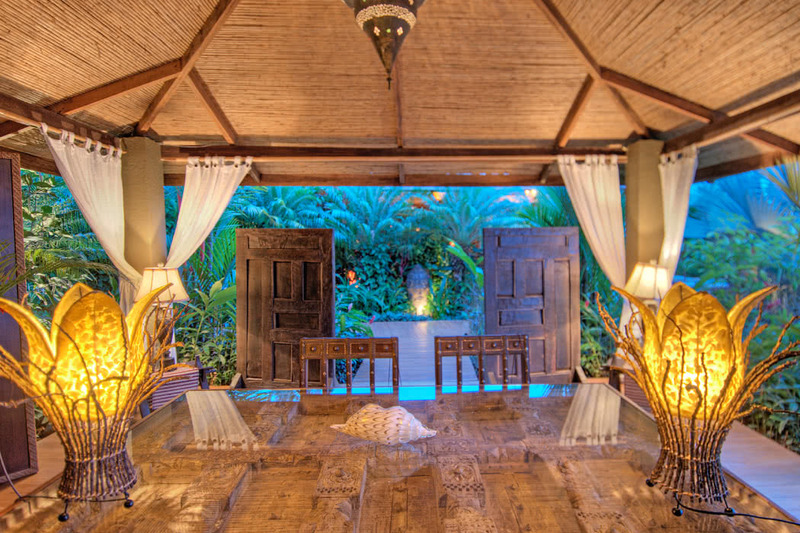 They use the phrase “handcrafted eclectic elegance” which truly captures the essence of the resorts’ gorgeous style; it is rustic, contemporary and traditional all rolled into one beautiful package. The service at both resorts is exceptional, they literally treat you like royalty! 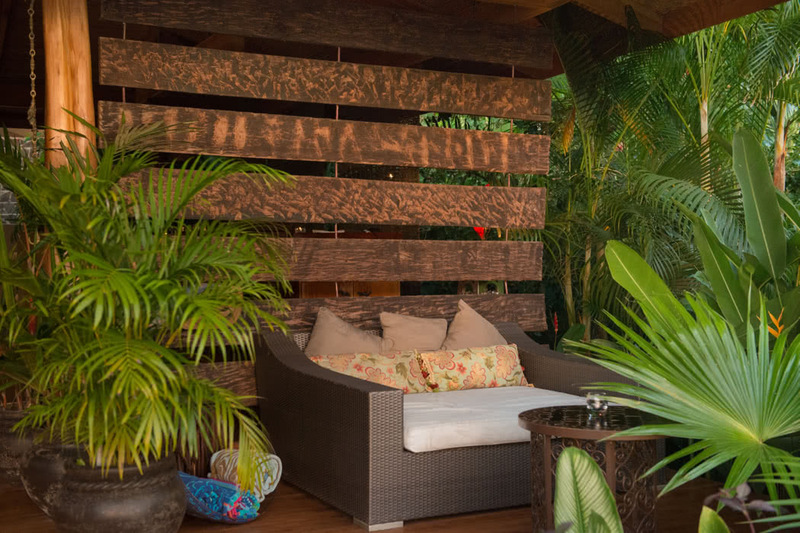 They are helpful, friendly and so warm and lovely that you very quickly feel a part of the Casa Chameleon family. 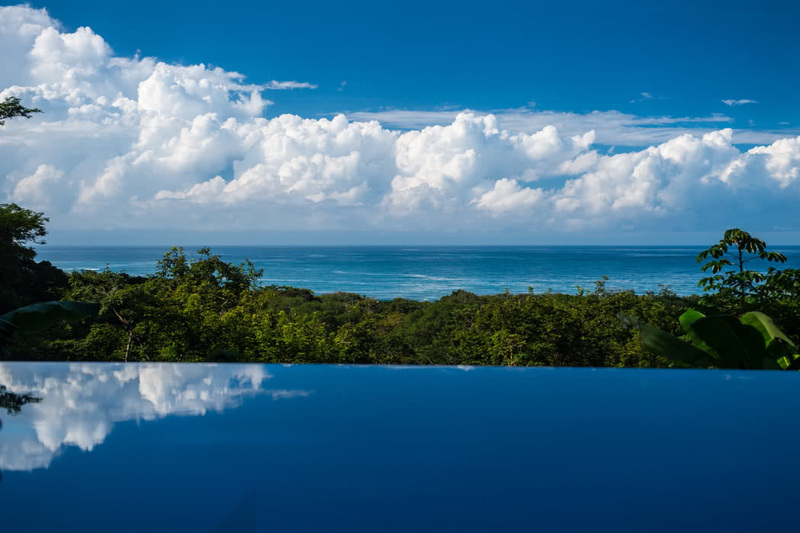 The adults-only retreat features 10 to-die-for villas, each with their own private infinity pool and epic views from your balcony that take in both the jungle and the ocean. There’s lots of lovely extras like a hammock, a living area, an outdoor dining area and an iPod dock that all make it hard to leave your villa. 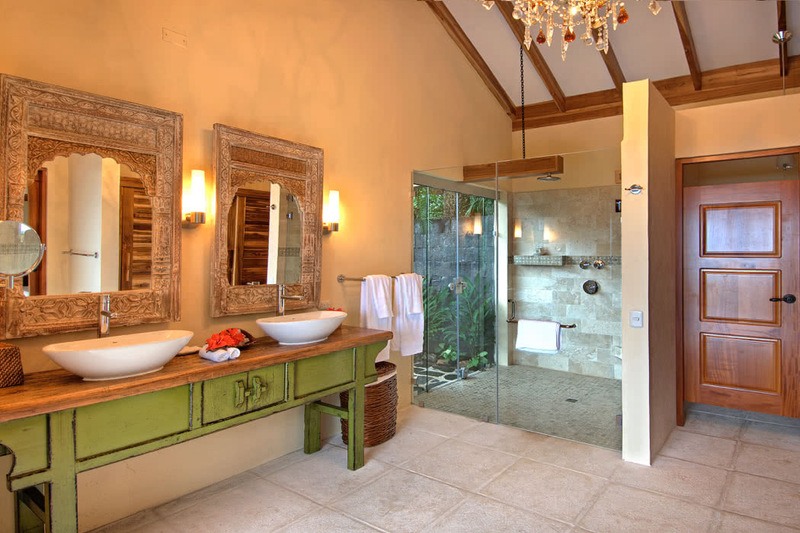 If you crave extra space then upgrade to a Villa Suite but really the smaller Villa is still perfectly wonderful. There’s plenty to occupy you at the resort: a shared pool with a waterfall, the spa offers in-villa treatments, there’s a salon with a view and you can take a range of fitness and wellness classes such as yoga, Pilates and weight training. 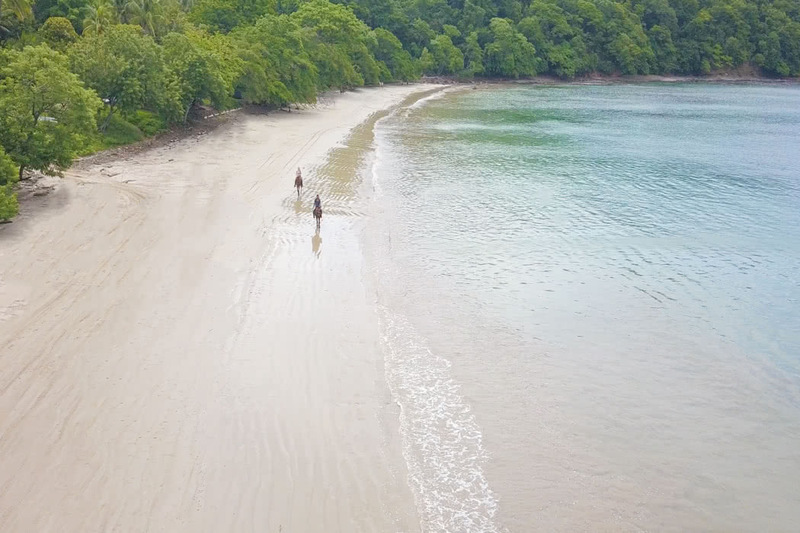 But, you’re in Costa Rica so getting out and about is an essential. 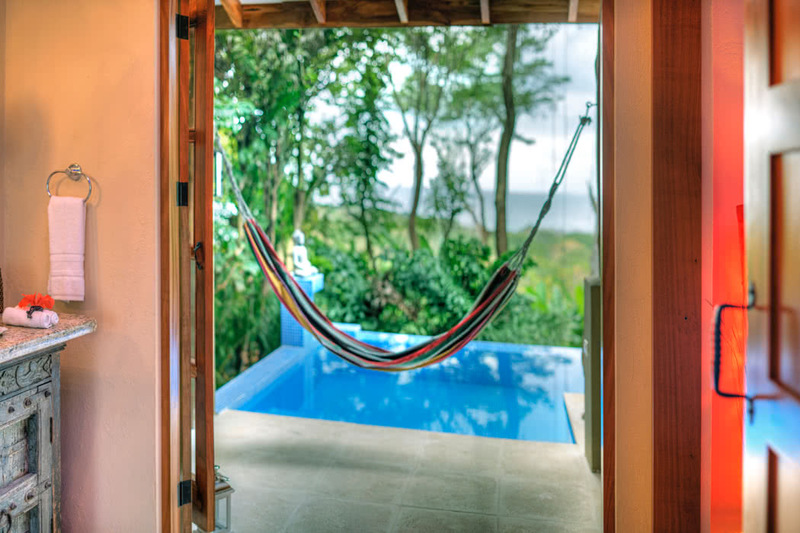 The hotel has a fabulous team of dedicated, on-site personal vacation advisors to take you wherever and however your dreams suggest: go fishing, surfing, paddleboarding, snorkelling, scuba diving, horseback riding, explore one of the biking and hiking trails or gain a unique perspective with a canopy tour! Another treat awaits with food and drink at Mal Pais, the restaurant serves delicious local cuisine with a daily changing menu; sit on the terrace and watch the masters at work at the open kitchen. You can also lunch at the poolside lounge bar and breakfast in the dining area or for the ultimate romantic start to the day, breakfast in privacy on your very own balcony. There are 21 villas at this adults-only boutique resort which enjoys panoramic, 360-degree ocean views and a jaw-dropping cliff-top zero-edge infinity pool. The resort only opened just over a year ago and already has a huge buzz around it. 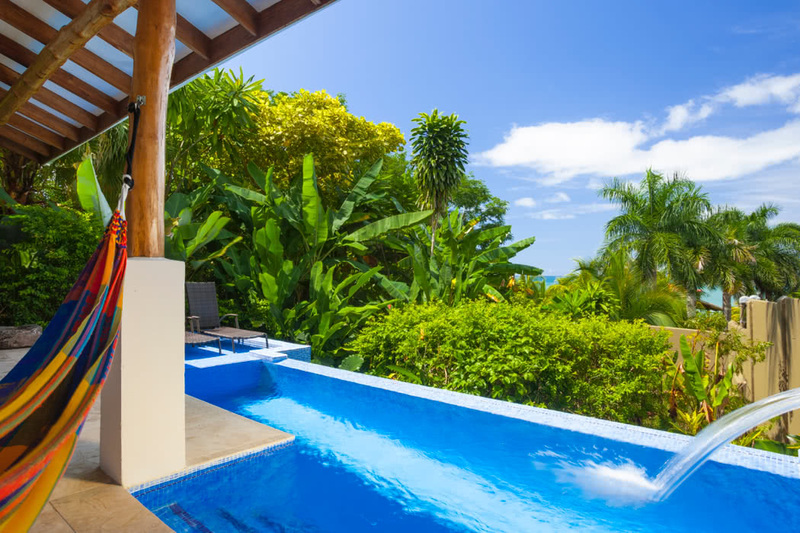 Every private villa has its very own personal salt water plunge pools and ocean views from your balcony as well as beautiful, custom-made four-poster beds. 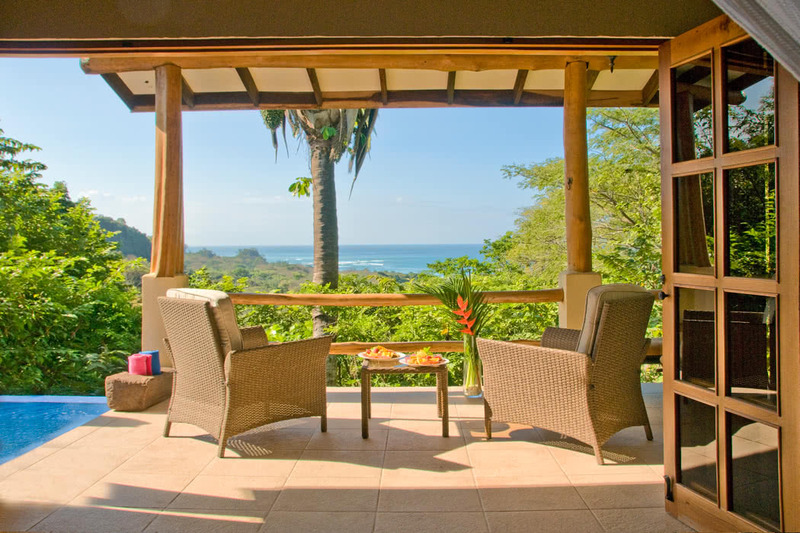 You choose your villa by the direction it faces: South overlooks two gorgeous local beaches (some of the best in Costa Rica) and West gives you staggering sunset views. 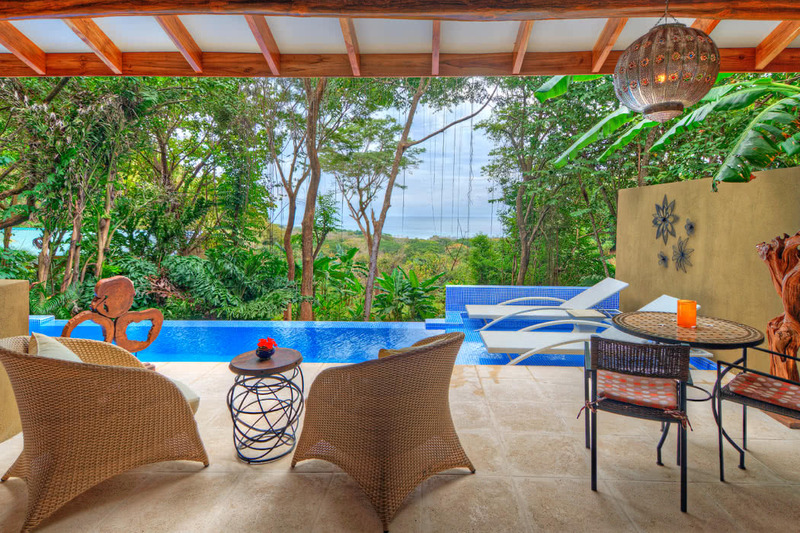 As at Mal Pais, you can also upgrade to a Villa Suite if you’re all about the space! 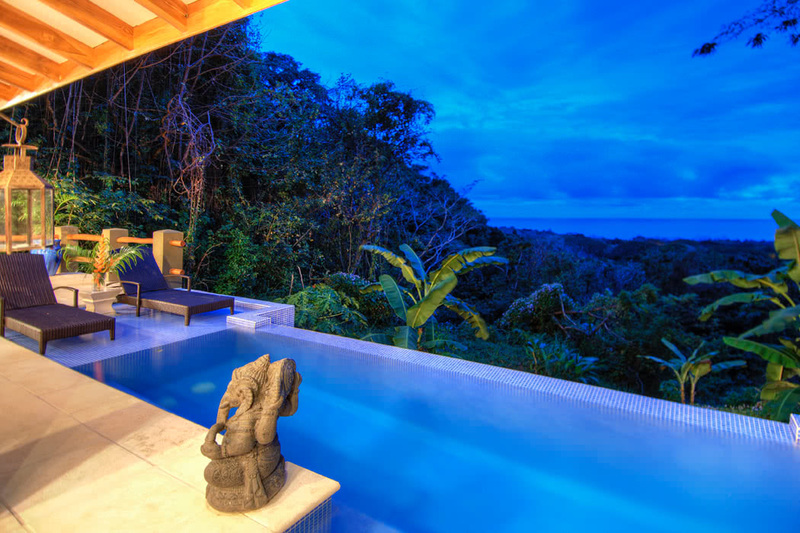 Your spa and salon facilities are similar to those offered at Mal Pais, and you are in a prime position to explore Costa Rica here too, especially with those beaches! The incredible fine dining restaurant, Sentido Norte, serves delectable Costa Rican cuisine with a creative twist from its position above the pool. The views don’t get better, so choose a sofa in the bar after dinner and sit back to watch the sunset with a cocktail in hand; simply unforgettable.